Kick the tires and light the fires, the 2019 college season is here! The preseason power rankings may look awfully familiar at the top, with the trio of North Carolina, Carleton, and Oregon entering the year as favorites. We spent much of 2018 comparing the titanic talents of North Carolina and Carleton, but come Nationals, Pittsburgh was proud to play usurper while Darkside narrowly avoided a fatal blow from Ego. Is Darkside Building A Dynasty? For the second time in four years, #1 North Carolina enters the college season as the defending national champions. Darkside suffered a single loss during the 2018 regular season: a quarterfinals matchup with Pittsburgh at Easterns, one it avenged in the national championship game defeating En Sabah Nur 14-10. The coaching staff, which has ballooned to six people (Jon Nethercutt, David Allison, Ben Snell, JD Hastings, Nathan Kwon, and Mike DeNardis), enters 2019 with another loaded roster looking to repeat. Darkside brings back the best player in the D-I Men’s division as Matt Gouchoe-Hanas returns for his fifth year. The reigning Men’s Player of the Year led Darkside with 20 goals at Nationals last season. He will almost definitely be a Callahan finalist as he looks to secure his third college title. Gouchoe-Hanas will have plenty of help as UNC’s assist leader from Nationals, Elijah Long, returns as well. Long is fresh off a run to the men’s club semifinals with Raleigh Ring of Fire. North Carolina actually brings back all three of its top assist leaders from 2018 Nationals as Kai Marcus and Anders Juengst return for their junior years. If that wasn’t enough firepower, Liam Searles-Bohs is healthy and also fresh off a club season with Ring. He did not play major minutes for the team, but, nonetheless, the experience with a semifinalist team matters. Impact players John McDonnell and Ted Randby (who made the Atlantic Coast All-Freshman team in 2018) join Searles-Bohs in a powerful sophomore class. Walker Matthews is back for his fifth year, having just earned an invite to the U-24 Men’s National Team this summer. He might not stuff the stat sheet, but there is no denying his talent. There are a few holes in the Darkside roster after 2018. Key contributors Nathan Kwon, Nick Macleod, and Norman Archer all depart after finishing their college careers. But based on Jon Nethercutt’s ability to develop players within their program, expect them to already have some players prepared to step into bigger roles. Alex Davis is an easy candidate here. With nine goals at Nationals, he was second on the team behind Gouchoe-Hanas. He has the speed to take the top off a defense. Expect Colin Smith to get more use as well. The 6’4″ cutter scored the championship-winning goal last season and held Pittsburgh’s Noah Robinson in check. His size alone makes him a useful asset on both defense and offense. North Carolina can also expect help from freshman Andrew Li after he spent the past several years playing with the YCC squad Triforce. The narrative for the entire 2018 season was about the top two teams in UNC and Carleton. Much of the 2019 season could play out the same way, but it seems like there are a few more challengers at the top of the division. In fact, North Carolina’s biggest barrier to repeating as national champions probably resides in the Northwest, rather than the North Central. Oregon came closest to knocking off UNC in meaningful games. The two sides met twice in 2018, first in the semifinals of the Stanford Invite and then in the semis of Nationals. Both games were decided by a single point. Ego again has plenty of offensive weapons to challenge the champs again in 2019. Carleton will still certainly be in the mix. CUT is just a year removed from a national title of its own. However, UNC always seems to have Carleton’s number. In their lone meeting last year, Darkside won 13-8 in the Stanford Invite final. During CUT’s 2017 title run, UNC beat them in pool play 15-10 and were headed for a rematch in the finals before Jack Williams went nuclear. In fact, Carleton hasn’t beaten North Carolina since 2009. UNC has won the last five matchups between these two college powerhouses since their 2009 meeting at Centex. This doesn’t mean it is impossible, but the fact Carleton hasn’t won since the UPA days does make you wonder how serious a threat they truly represent to UNC. Of course, Pittsburgh figures to be in the mix again with another strong recruiting class, as does Washington and Brown, both coming off impressive seasons. UMass could take one last shot at it with Tannor Johnson in his senior year as well. Needless to say, UNC is certainly not lacking competition. Yet, heading into the season, Darkside must be the favorite to win it again. This is not always the case for the defending champs. Carleton seemed poised to repeat last season, and came awfully close, making it to semifinals. Minnesota certainly did not feel like the overwhelming favorite to repeat after their 2016 title. The truth is, Darkside will be knocking on the door of another title this year. The last time Nethercutt and company missed the semis was in 2013, when Searles-Bohs was still in middle school. This between the talent and experience UNC boasts — you can pretty much pencil them into the semis again in 2019. After that, it is hard to say how North Carolina builds on their existing legacy. Two titles in four years is impressive. However, three titles in five years—that starts to sound like a dynasty. Getting punched in the mouth is one thing and what happened to #2 Carleton against Pitt in the semifinals last year is another. CUT found themselves sprawled on the canvas, on the receiving end of a definitive KO, defeated in every facet of the game. Can they get back on their feet in 2019 and play their way into the showdown with UNC that we all thought was coming in 2018? It’s tough to say that Carleton will be more talented this year after they lose three of the eight guys who just made the U24 squad.1 But sheer talent won’t be the issue, and certainly wasn’t in their shock loss last season. Perhaps shedding some mouths that needed to get fed will establish a clearer food chain on the roster. When CUT was getting pummeled by Pitt, it didn’t seem clear who was supposed to be “the guy” to step up and turn things around. With Henry Fisher gone, springy junior Joe White is now the biggest downfield threat for Carleton. This season is White’s chance to deliver on all the upside that has had turned usually even keeled commentators all glass eyed and giggly. But is White even the best player on the O-line? Dillon Lanier has been turning big minutes into big numbers on the scoreboard for Ring of Fire at the club level. White’s potential is seemingly limitless, but Lanier has actually delivered on his to a greater extent and was the best player for Carleton in that wretched semifinal. If it seems reductive to judge Carleton solely on that one game last season, you’ve got a point. In single elimination formats, weird stuff happens. But that comes with the territory for CUT, because when you’re the most voracious collector of talent, the standard for success becomes pretty high. Maybe that loss will have battled hardened the Lanier/White/Birdsong junior class. A real first taste of blood in the mouth that pushes them to two titles in three years. Or maybe they’ll still be a bit punch drunk and unable to stop a UNC team that is bringing back all of its U24 players. Hopefully this year we get the chance to find out. After two years away, #3 Oregon Ego returned to the 2018 semifinals. To sustain their success, Ego needs to replace an impactful senior class. Oregon’s biggest challenge will be finding production without the contributions of 2018 POTY Runner Up Adam Rees, Colton Clark, and Connor Matthews. Ted Sither returns to the team after a summer handling for mixed division semifinalist Washington D.C. Space Heater. Leandro Marx finished last year as a DPOTY runner up and he could well win it outright this time around. Will Lohre was a second team All-American selection in 2018 and will take on an even bigger role running the offense this year. Xander Cuizon Tice joins that trio representing Ego on USAU’s U24 team. When asked who might step up to take on the challenge of replacing such large contributors, Marx indicated that the team intends to spread the offense to more contributors this season and is confident about their ability to do so. Despite their losses, Ego will have plenty of firepower to compete for a championship this spring. Success is dependent on Oregon’s ability to build depth worthy of competing with the talented rosters of North Carolina and Carleton, the two teams above them in Ultiworld’s initial power rankings. Ego is rostering six rookies and has high hopes that they will contribute immediately. Keep an eye out in particular for Kuochuan Ponzio, a very polished rookie from Vermont, and Cylas Schooley, who will likely slide onto the O-line. It will take more than just talent, though, to stay at the top of the division. Last season, Oregon’s only losses that mattered were to UNC and Washington2. This year, Ego is excited to replicate that success by using their regular season, especially larger tournaments like Easterns, to get experience against out-of-region nationals-level teams. With a strong coaching staff and smart veteran leaders, Ego is likely increasing their chances of winning by scouting opponents before matching up against them in bracket play in May. Jay Janin returns this year as head coach, having proven himself season after season as one of the division’s best. Additionally, Oregon quietly announced that Sockeye standout and former Ego captain Dylan Freechild would join the staff this year as a coach. Freechild will focus on coaching defense, giving an Ego team known for high-flying, fast-paced offense a bit of grit. He could be the competitor who pushes Ego’s younger players to develop into superstars. With the graduation of the class of 2018, nobody on the current roster played with Freechild, who graduated in 2015. Instead of the fiery leader many remember spiking his way to a Callahan award, he will instead guide a new iteration of Ego, looking for the championship the has eluded Ego since 1992. Can Pittsburgh Run It Back, Again? #5 Pittsburgh En Sabah Nur have not exactly been coy about their ambitions for 2019. The perennial Nationals attendees returned to the 2018 final with a bang after taking three straight breaks from a discombobulated Carleton late to blow a tight semifinal wide open. While knocking off the reigning champs would be a season highlight for any ninth seed, for Pittsburgh the upset win reaffirmed their unappreciated return to form. It turned out the story really had been about them all along. Having last won back-to-back (with, most notably, a DeGirolamo, Pat Earles, and two Thornes) in 2012 and 2013, 2018 marked the first year Pitt fielded an entire roster without a member of those star-studded championship teams. Making the final after a full such cycle is usually a good sign that your team’s rebuild is on the right path. However, the gritty Pitt that ground it out against Carleton on Sunday was not the same Pitt that hucked themselves into the hole against UNC on Monday over the 2018 Memorial Day weekend. Let’s consider which version of Pitt might show up to Natties pool play this year: the one that beat Washington by four to take the “Pool of Death” on point differential; or the one that dropped a close game to Brown in the first place? A strong case for the former: three players who came up biggest for Pitt down the stretch–likely Callahan candidate Mike Ing, Hafeez Shams, and Noah “Big Cat” Robinson–highlight a strong senior lineup of returners with bones to pick and dimes to huck. In the backfield, Leo Warren, Matt Hanna, and Daniel Goldstein will no doubt find their handler meld kicked up a notch after playing together on Temper this past fall. Further down the roster, Kevin Tsui (Patrol) and Marcel Oliart (Slow White) also garnered club experience last summer; having seen major Nationals minutes as frosh, expect their contributions to be steadier as sophomores. Having graduated just six upperclassmen, Pitt also managed to recruit a quartet of exclusively YCC-tested freshmen, whose prior high-level experience should help ease the creation of new lines this year. Most notably, they pick up Henry Ing, who may have even higher upside than his older brother, Mike. With a whopping total of zero juniors on the roster, though, some questions remain about their current title window. Namely, what happens when Mike Ing is gone? Is it open when he’s here? Returning such a high percentage of their silver-earning team should in theory improve their chances. But even low turnover may have its effects: in particular, the fifth-year trio of Dillon Tranquillo, Jonah Wisch, and Dylan Best that played an integral role punching in key breaks and steadying the at-times-streaky offense will be sorely missed. Robinson and Ing were able to win their Carleton matchups in part because Wisch and Best merited defensive priority; UNC, however, showed no such spottiness in their coverage, and rarely gave Pitt’s D-line a chance to break back. 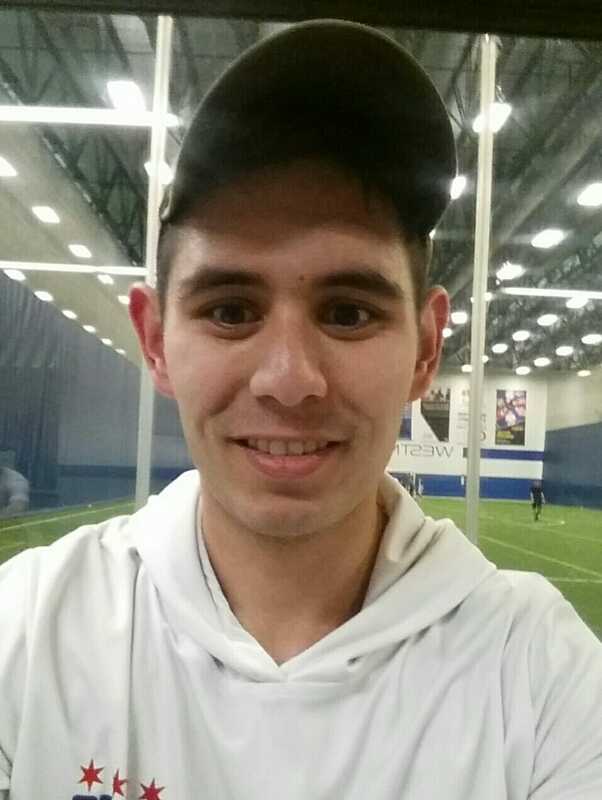 A middling 7-5 fall record has not revealed anything really concrete about the 2019 En Sabah Nur ceiling besides a picture of Mike Ing, grinning menacingly and muscly in a U24 tryout pinnie, ransom demands scrawled on a whiteboard behind him. They shellacked Maryland at Fall Easterns, but lost to UNCW, NC State, and Georgia, all on double game point. If Pitt’s stars don’t show out in full wattage, there’s a good chance they’ll be outshone in their quest back to the finals by not just a surging Brown, but perhaps a vengeful Washington, even. Pitt may chirp a big game; it remains to be seen if they can back their tweets up. #4 Brown is the swing team of 2019. If they are really good, they shake up the whole picture at the top of the division. If they don’t take a leap forward, then we’re probably looking at another year of rubbernecking at a team with young talent and not much end product. While Brown haven’t made the semifinals in several generations, they made a mark last year by beating Carleton in the first game of the season and showing flashes of brilliance throughout the year. They are now officially on the radar and heading into a season with actual expectations for the first time in a long while. Getting buzz and delivering on it are two different matters of course, but this Brown squad just has the look and feel of a classic college team. A young superstar ready to make the leap in his sophomore year (John Randolph), a vet who can torch defenses with his throws (Mac Hecht), and a short bench of role players who can make plays but might run out of gas. They embody a certain shoestring hero ball routine that is only possible in the college division. You can see the outline of a title contender, but with a lot of space to be filled in. Is Randolph ready to be a top-five player? Will Hecht balance being the veteran and primary distributor while letting Randolph take over in crunch time? Can all the guys who showed promise deliver on it this soon? Can anyone get open in the dump space? Can the D-line get anything without Hecht or Randolph on the field? A lot of things have to go right for Brown to win a National title, but that’s more than you can say for most teams. We’ve seen this story before and it’s exciting every time. They will be top heavy, they will be exciting, they will do some dumb stuff and take a few bad losses, they will be inconsistent, and they will be the team to watch this season. The 2018 set of regional championships provided drama and surprises. Who will be starring in this season’s regional tales? The Atlantic Coast was one of the hottest regions in the country come April. The door was blown completely off of the (largely) two team race between #1 UNC and #15 UNC Wilmington that has defined the region for almost as long as it has existed. Notably, one of the two perennial Nationals qualifiers fell victim to the heist. There’s every reason to believe that the Atlantic Coast will at least be a three bid region again. UNC is more than a lock for Nationals. The question is: where will the rest of the contenders land? Could the chaos of last year’s AC Regionals return? Or will things stabilize as the top contenders attempt to reestablish their primacy? The classic tale of Wilmington not pulling in the same kind of star-studded rookie classes as UNC and NC State still holds some weight; Wilmington has struggled to fill out the middle and bottom ends of its roster the last two seasons with the kinds of players that can make their team as dangerous as UNC, if not better. They have a very strong triumvirate of top players in Matt Ellis, Connor Russell, and U24 selection Rick Hennighausen, all of whom competed at a high level over the summer in the AUDL and club divisions. By far one of the biggest pieces Wilmington has back on the board is Ellis. The runner up 2017 ROTY was conspicuously absent last season, but he certainly didn’t sit idle. 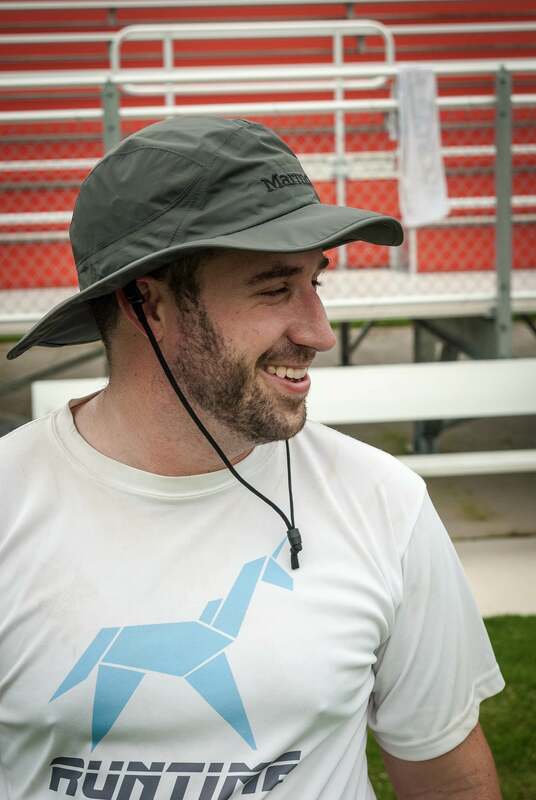 Ellis played in a flurry of AUDL games with the Raleigh Flyers, gaining valuable experience on their defensive line. Whatever role Wilmington has hashed out for him, Ellis gives the Seamen a significant boost at the top end of their roster and, much like the rest of his team, has plenty of reasons to be hungry for Nationals. At their best, Wilmington showed flashes of an efficient vertical offense last season despite all of the notable departures from their 2017 team that reached the final. Can that system and their rising stars put Wilmington in position to challenge the top teams? It seems that if Wilmington wants to hold the lid down on the insanity that was unleashed last season at Regionals, this is a critical season for them. Getting back to Nationals will require a focused effort on improving consistency and making the most out of their stars. Equally critical is #14 NC State’s ongoing spate of earning bids to Nationals and then losing them in the series. State has gone through a rebranding in the fall and has, on the surface, fixed a lot of the internal problems and injuries that have plagued the team the last two seasons. They have an experienced core of players, including Trevor Lynch, who competed on the USA U-20 team in Toronto last summer. For that matter, both State and Wilmington possess an experienced top end that got plenty of experience playing deep into Club Regionals. Can that experience and mental shift be converted into wins in April? While Wilmington has always been the big brother to State in years past, it’s clear that State wants to be the alpha dog moving forward, especially if that means competing at Nationals. They will need to be given that their neighbor to the north, #22 Maryland, was originally intending for 2019 to be their season back at Nationals. Darryl Stanley’s largely unsung underdog squad managed to capitalize on the vulnerabilities displayed by teams in the fourth place bracket at Atlantic Coast Regionals and made their shot at Nationals a year earlier than expected. A lot of that Maryland team is back this season and in the fall, they proved themselves to be fully capable of taking down NC State and UNCW. Maryland has been testing elite teams throughout the fall and Johnny Walden, who competed with Truck Stop in San Diego this past fall, is poised to have an excellent spring. The Virginia teams in the region are a bit of a mystery. Virginia Tech and William and Mary had very quiet preseasons and did not boast convincing results along the lines of their other Atlantic Coast competitors. It’s completely fair to be skeptical about Tech’s ability to replicate the success they’ve had the last two seasons. Joe Freund is an excellent player, but the team still lacks the depth that got them to Nationals in 2017 and delivered a successful 2018 regular season. With a lot of the rest of the top end now graduated, Tech will really have to lean on Freund. William and Mary was looking like one of the buzziest teams in the region, but a season-ending ACL injury to star sophomore Jonny Malks means that the team likely won’t have the firepower to compete at the same level they did a year ago when they made a surprise run to Nationals. For years, the Great Lakes region has been dominated by just one thing. Parity. Don’t expect much to change. #16 Northwestern has tried to separate themselves after taking 9th place at Nationals. But the familiar faces are all building up to the challenge. Northwestern NUT fed off the underdog persona last year but is now the team to beat and is returning enough talent to stay on top. Kyle Rutledge leads the way after a season with Chicago Machine and earning a spot on the U24 team. Rutledge joins fellow returning senior Jeff Holm as the key pieces for Northwestern after breakout performances at the D-I Championships. They went 4-0 on Saturday of MLC this fall and show no signs of slowing down. On the other side, Michigan MagnUM is in a new spot as well. MagnUM has consistently been the early favorite to take the region. This year is different after an early Regionals exit and the departure of several mainstays. They will have to rely on their strong recruiting class to rise back to peak form. With such a different look, MagnUM is hard to define at this stage. Their fall results weren’t especially compelling, but, then again, last year they looked great at CCC and crumbled in the spring. Notre Dame has been in the game to go three of the last four years. Their 11 seniors/grads have the experience to win it all this time. Notre Dame’s strength is their depth and cohesiveness. It shows in how they carry themselves as one program with endless traditions and high spirits. Stephen Babcock will return as one of the focal points of their scoring. The other teams in the region have more unknowns, but if history is any indicator, they will find themselves in the mix as the series gets closer. Chicago will be a different team this year after graduating three All-Region players. Jason Vallee will look to step up in their place after some breakout performances in the AUDL. Chicago used to be top-heavy, but this team will have to work for their success with a new approach. Illinois returns a majority of their roster with a strong senior class. It showed when they went 4-0 at MLC. Unfortunately, due to a clerical error, they were playing B teams in the lower pools. Illinois’ game plan will largely remain the same. They love hucks and, with the addition of U20 player Joey Kennedy, have the athletes to support that. They can beat anyone if they avoid mistakes (like registering for the B team pools). Illinois State Gnomes lost two players that truly developed the program into an annual competitor, but their three All-Freshmen selections from 2018 will help keep the team close. And don’t get too hyped up yet, but Indiana is going to soon be fighting for relevance in the region. There’s quite a youth pipeline funneling into IU. 2019 may be a bit early to consider them a serious contender, but they have lots of young talent and a bright future. Don’t be surprised if another team from the region comes along for the ride as Northwestern looks to establish themselves at the national level. The Great Lakes is in a good position to earn their first strength bid since 2014, but only if the region can keep up with a rising Northwestern. Despite the lack of national relevancy, this might be one of the more interesting and competitive years in recent memory for the Metro East. Stories of Connecticut‘s demise have likely been exaggerated. Chris Bohr is back for his fifth year. Danny Connor and Aaron Rosenbloom are expected to be heavily involved during their first seasons. But there is no question Grind lost a lot of talent after graduating 12 seniors last year. First-team all-region standout Wally Esker played a sizable role in the team’s offense. Brian Abedon had a combination of size and speed that made him a tough matchup. It was a deep group. Yet, there is something telling in the fact Esker was the only player to make an All-Region team. Not that those can always be counted on for the best evaluation of talent, but this UConn team plays without superstars. It is a team that relies on its system, punishes teams for unforced turnovers, and devastates opponents on the break. That might have something to do with their coach. Remember how everyone freaked about how PoNY forced so many turnovers against the Revolver offense? The guy who designed those defenses coaches Connecticut. Bryan Jones continues to build an army on defense, throwing new looks at teams who frankly just aren’t ready for them. And watch out for Phil Murray. The junior is fresh off a season with Connecticut Colt and easily the team’s most explosive defender. Not quite. While this is still UConn’s region to lose, the margin is much smaller than in previous years. Cornell is itching to get back to Nationals after a few years away. Led by Philadelphia AMP’s Spencer DeRoos, the Buds find themselves in the best position to knock off Grind since 2015. While DeRoos is fresh off a club national championship, he should have plenty of help from fellow standout Pat Voorhees, who is actually the reigning player of the year in the region, not DeRoos. With a patient offense and disciplined defense, Cornell is set to make a real challenge this season. The key to them taking the next step could rely on the ability of all-freshmen players Max Tomsick and Leo Decter taking the next step and filling in bigger roles. On top of that Rutgers Machine is back in the mix. After making a semis run at 2018 Metro East Regionals, Machine lost little of its roster and brings back an experienced group, as much of their team comes from established YCC programs. With Ben Levy and Bobby Puhak having spent the summer with Garden State Ultimate, Rutgers presents a legitimate threat. Machine will have an early chance to measure themselves on a national level at Florida Warm Up this season. There are other teams hoping to break through, who’ve yet to show enough to be considered postseason contenders. Stony Brook made a semis appearance last season, but lost some of their top players to graduation. Oliver Voorhees is back for another round, though. Syracuse brings back most of its roster headed by Jesse Newman, Adam Newman, and Luca Serio. That group is responsible for the next step in the team’s development. RIT has been uneven in recent years, but when they are up, they are dangerous. All in all, the lead UConn had on the rest of the region is shrinking, but it still remains to be seen if someone else in the region has enough discipline and creativity to block Grind from a fourth straight Nationals appearance. #4 Brown swiped the regional crown from #8 Massachusetts last year, the first time since 2014 that Zoodisc failed to claim the top spot. We covered Brown’s ceiling above, and they’re the odds-on favorites to repeat as regional champs. If UMass are going to reclaim the title, they’ll need to get Tannor Johnson some help on offense. We all know what the reigning OPOTY can do, but how much do we know about his wingmates? Chris Bartoli is the most notable returner, but he’s best deployed as a D-line block machine. Who steps up to help Johnson on the O-line will likely be the key storyline for UMass this season. Beyond those top two teams, it’s tough to see anyone else making a big move. The last embers of Harvard’s run to the championship game in 2016 have all but died out, and while they have a few interesting new pieces from their freshman class, it won’t be enough to reignite a Nationals run. For the umpteenth consecutive year, expect Vermont to string together a few decent results. with Boston Dig’s Ryan Dinger leading the way—and for the umpteenth year expect them to do not much of anything at Regionals. It might be “their year” for Tufts and Northeastern, with a host of fifth years returning for both teams and some decent club experience down the rosters. While these two seem likely to duel for third place in the region, it doesn’t look like they have the top talent to get in between Tannor Johnson and Nationals in a game to go. Just how predictable has the North Central been? Since the redraw, the NC has gotten multiple bids every year. Since 2014, the only NC teams to qualify for Nationals have been some combination of #2 Carleton CUT, #10 Minnesota Grey Duck, and the #6 Wisconsin Hodags. And for three years in a row, those three teams have earned bids and qualified for Nationals. 2019 seems destined to be more of the same- CUT, Grey Duck, and the Hodags are far and away the best in the region and are more than likely going to ensure another three bid drama-less regionals. 2018 Carleton CUT was, on paper, one of the scariest teams in recent memory, yet their season ended in a semis no-show against Pitt. While 2019 CUT loses some of the best players in the division last season, they retain their insanely talented junior class, which could win a few tournaments on its own. For the most part, CUT has players ready and able to take on the departing senior’s workload. Chris Padilla will step into the center handler role left vacant by Alex Olsen. Stan Birdsong will take over Henry Fisher’s terror-in-the-deep-space position. Dillon Lanier will continue his reliable and indispensable disc distribution. But CUT’s season, once again, could hinge on superstar Joe White. White struggled with injuries throughout 2018, then played the worst game of his college career at the worst possible time: in the national semifinal. There’s no denying White’s prodigious playmaking ability and athletic dominance, but the question this season will be one of mental strength. White seemed to wilt under the pressure of semis: will that continue to be an issue, or was it simply a flukey game among countless elite performances? Coming off a stupendously successful club season with High Five, all signs point to the latter. Of course, CUT has never been about one player in particular—the talent is everywhere on the roster. Their five players on U24 US National teams is the most of any school. Ethan Bloodworth, Luke Webb, and Tim Schoch are a hydra of defensive tenacity, and they bring in another excellent recruiting class, headlined by U20 standout Ben Priess. Anything less than a CUT 2019 National Final appearance will be a disappointment. Minnesota Grey Duck, like Carleton, have lost a number of their chief contributors, especially on offense. Wyatt Mekler, Tristan Van der Moortele, and Codi Wood are gone, and with them much of the handler-driven firepower the team has been notorious for in recent seasons. Grey Duck’s 2019 offense will look very different to 2018, as their focus shifts away from their standout handlers. To what? That remains to be seen. Grey Duck still has exceptional individual players. Cole “Beef” Jurek, coming off an incredible season with Sub Zero, is one of the division’s best cutter defenders. Cole Wallin is one of the most dangerous initiation cutters in the country, fast as the Mississippi and surgical with his throws. And Wysten Duhn and Sam Kaminsky form a deadly twosome in the backfield. Grey Duck’s major question mark is instead its depth: can others step up into big roles and perform? Role players like Jonah Malenfant, Cash Barber, and Daniel Mieland will be crucial to Grey Duck’s 2019 fortunes. Finally, we come to Wisconsin, in what very well could be a peak year for them. Although they lose stalwarts Chris Wilen and David Yu, Nick Vogt is back, healthy and primed for a huge year. Their promising underclassmen are coming into their own, highlighted by junior handler Ben Pavelka and sophomore U20 team member Ted Schewe. And of course, we can’t forget about human highlight-reel John Tan. With coaches Hector Valdivia, Becky LeDonne, and Andrew Brown at the helm, the Hodags are looking as dangerous as ever. In 2018, #3 Oregon Ego and the #7 Washington Sundodgers played head and shoulders above the rest of the Northwest when it mattered. With BYU in what amounted to a rebuilding year (and still out of the meaningful postseason picture despite earning a bid), these two Nationals-level teams sported deeper benches, better gameplans, and more consistency than most opponents, in or outside the region. The outlook for 2019 hasn’t changed much. These two teams remain heavy favorites and it’ll be up to the rest of the region to play themselves into additional bids, whether BYU earns one to be left the table or not. Consistency is the question for the perennial teams that are right on the bubble. Western Washington, even without the departed Dennis Casio and other important alumni, has the youthful talent and fire to win big games, but they struggled with injuries and communication last year. And #25 Victoria, just across the water from Bellingham, has a trip to Nationals on their program record.3 Oregon State‘s similar experience in 2017 kept them right at the margins throughout 2018—their bench wasn’t deep, but they were a tough out. Plus, the specter of British Columbia‘s abilities always loom—the youth pipeline in Vancouver remains strong. In a region so closely controlled by Oregon and Washington (both of which retain excellent depth and coaching talent despite significant departures), the best of the rest can’t lean on anything other than themselves in 2019. As has been the case for the past decade or so, the Ohio Valley remains #5 Pittsburgh En Sabah Nur’s to lose. But while seeing six upperclassmen depart might spell doom for a thinner roster elsewhere, Pitt has the system in place to maintain their depth. Despite graduating three starting fifth-years, Pitt nevertheless managed to land four rookies with YCC experience to replace their departures, including Michael Ing’s younger brother Henry, a recent U20 tryout attendee. The senior Ing himself remains firmly entrenched in the POTY conversation, and deservedly so, after leading the men’s field in overall +/- at 2018 College Nationals. His classmate, Noah Robinson, will continue to see his stats accumulate as his minutes do, if his four goal and three assist wrecking-ball performance against CUT in their semifinal upset is any indicator of his healthy ceiling. Similarly, Hafeez Shams, who provided a key offensive spark to keep Pitt alive late against UNC, racked up solid playing time during Temper’s Club Regionals run last fall; expect him to keep up a strong game in a leadership role as a fifth-year. 12 members of Pitt’s active roster played at Club Regionals this past summer, six of whom went on to Nationals. This cumulative wealth of big-stage experience across the roster dwarfs the rest of the region’s, and will likely continue to set ESN’s team expectations a step above its regional rivals. Not to be outdone by the siblING chemistry, Ohio State Leadbelly have their own duo in sophomore Sion and freshman Axel Agami. Sion is coming off a breakout Club Nationals performance of his own, one of only five players to post a double-double (10+ goals/assists) in the mixed division. With the Agamis and Sion’s Columbus Cocktails teammate Jason Lee, Leadbelly will take a crack at bringing the Ohio Valley a second strength bid. Their fall campaign kicked off swimmingly with three wins over Michigan, UMass, and William & Mary at a rain-abbreviated Classic City Classic. But exactly how far will their upset momentum carry them? Beyond the Agamis, Lee, and High Five’s Zach Braun, the depth of Leadbelly is untested in a full tournament setting this year. With such a top-heavy roster, do they have adequate rotations available to secure themselves a spot in the postseason? OSU next heads to the Stanford Invite at the beginning of March to try their luck against the best of the west. Meanwhile, Pitt will look to hold their ground at Florida Warm Up against a strong field that includes Brown, CUT, and Georgia, as well as regional match-ups in Temple Alert, Villanova Main Line, and Cincinnati. Carnegie Mellon, led by one of the region’s best players, Jasper Tom, could be a sleeper, too. As the rotations settle and notches tally, we’ll see which, if any, contender has quite what it takes to knock the OV crown off Pitt’s head. After a brutal 2018 regular season which ended with three South Central teams in the top 20 of the USAU rankings, but only one bid to Nationals, the four mainstays of the region look to rebuild and reload. #19 Texas is the reigning regional champ with a strong T-9th place finish at Nationals. Tuff had been a few years removed from the show, but their veteran coaching staff had them ready for the big stage. The club also boasted eight first and second team USAU All-Region players and, while some of that can certainly be attributed to the awkward timing in which those awards are voted for, it’s certainly an indicator of a continually deep program with another good shot to stay on top of the region. If they wrangle in Marcus High School star Matt Chambers to join his older brother, Noah, and Matt Armour, they could be the strongest team in the region. For #17 Colorado State, Cody Spicer is gone. Jake Servaty is gone. There is a new coach at the helm in two time SW Coach of the Year, Peter Raines, an assistant coach last season. While there was a lot of turnover on the roster, the team is still deep, talented, and hungry after a disappointing quarterfinal exit at Regionals in 2018. With four players gaining valuable elite club experience on Johnny Bravo over the club season, Hibida has the depth to move back to the top of the region. Adding in fifth year grad student Ben Pettis from Oregon will also bolster the handling core. Look for fifth year captain David Miller and third year Will McDonald to do much of the heavy lifting. But the strength of this squad should be 1-25 depth. After missing Nationals for the time in 20 years this past season, #21 Colorado Mamabird looks to grow its stellar 2018 recruiting class back to form. Erik Hotaling, without a doubt their top player from 2018, has graduated, but Quinn Finer looks to lead this squad back to Nationals after a disappointing loss to Tuff in the regional final in 2018. Sam Hammar could be in line for a breakout campaign, which may be necessary to make it out of the SC. With the final year played out for Connor Ughetta, Texas A&M is searching for their next uber-high-usage player. Where that player may come from is still up in the air. The boys from College Station had traditionally fielded the most competitive B-team (and C-team) in the region. With that mantle passed along to Colorado State, the depth of the program may have finally been tapped. There is no heir apparent face of the program and while it’s been dangerous to write off A&M in the past, this may finally be the year where they fall to the middle-of-the pack in the region. Aside from the four major programs, a number of other teams are hoping to rise up. This depth could make South Central Regionals an insane gauntlet and a true test of depth. UT-Dallas looked like they could hang this fall in a 2-2 performance in power pools at MLC. They add San Diego Spiders’ David Hammer, and since they’re in the Florida Warm Up field, we’ll have an early chance to gauge their potential. The duo of Carson Wilder and Kyle Henke has vaulted Texas Tech to some notoriety. Connor Olson is still at Oklahoma State, making them a threat in any given game. The South Central’s variety of talents should keep the region interesting. The Southeast remains one of the most exciting regions in the country in 2019. Georgia and Auburn both look like potential quarterfinals contenders. Emory could finally make the jump to being a Nationals team. Florida has absolutely no expectations around them, so they’ll probably make Nationals somehow, and teams like Florida State, Kennesaw State, Georgia Tech, and LSU will will hope to stay in the mix. #12 Georgia were the surprise team of the region in 2018. They were overlooked as a team that would even make Nationals early in the season and wound up (embarrassingly in retrospect) not even receiving a bid to Easterns. Then they simply blitzed their way to a regional title and quarterfinals berth at Nationals. They lose a couple of key veterans from last year’s team in John Langstaff and Sam Batson, but they will likely still be the deepest and most athletic team in the region this year. By now, we know that #9 Auburn will be at Nationals. Whatever magic the program captured when they took Tulane’s forfeited bid in 2015 hasn’t worn off yet, and it doesn’t look like it’s going to anytime soon. Now the more perplexing thing about Auburn is that they still somehow have not earned a bid for the region.4 It seems impossible that they wouldn’t earn a bid this year, but we said the same a year ago. Eric Sjostrom is one of the best throwers in the country, and he has a lot of weapons to throw to. Auburn will be good again in 2019, and may be one of the best iterations of the team we’ve seen. If they don’t earn a bid this year, their rivals within the region might start looking for ways to get them annexed into another. #18 Emory’s top end is loaded. Anders Olsen will be Sjostrom’s chief competitor for Southeast Player of the Year as he returns for a fifth year, and Daniel Sperling, Mike Bartell, and Everett Dang make up a formidable core. They also bring in a pretty strong rookie class, and if that depth can pull a little more of the weight for them this year, then the breakthrough into the Nationals field is certainly possible. Don’t forget they were the ones who earned the third bid for the region last year and they didn’t look out of place at the Stanford Invite. Florida suffered their most painful regional collapse last year, losing three straight games to go on Sunday after an undefeated Saturday. Most of the key players from last season are gone, including 2018 Southeast Player of the Year Billy O’Bryan. Josh Layton and Ryan Hiser are both All-Region level players, but they’ll need help from players who have not been asked to do much in the past if they’re going to avoid a significant drop off. Florida State, Kennesaw State, Georgia Tech, and LSU all have players who could make the All-Region teams, and in the always chaotic Southeast, that’s plenty to keep them relevant, at least through the Saturday of Regionals. LSU and Georgia Tech both had very young players in their core who will be improved this year. Their 2019s don’t forecast as clearly as some of their regional counterparts already mentioned. But they all seem to have the potential of being like the Florida State team from last year that stunned the entire division by stealing a Nationals bid. It’s a worn out story by now, but the question for the Southwest in 2019 remains the same — will the region do enough to earn a strength bid? Despite #11 Cal Poly SLO stacking up as the clear favorite in the Southwest, last year proved that they cannot take anything for granted. The regular season never really seems to work out in favor of the Southwest and unfortunately, this year doesn’t seem to be any different. The good news for SLO is that they have all the pieces in place for a strong season. They’ve added arguably the strongest rookie class on the West Coast with two U20 National champions in Calvin Brown and KJ Koo, and U20 Worlds Champion Jake Thorne. If that wasn’t enough, Dillon Whited and Nate Pettyjohn are both returning for their fifth year, and Ian Sweeney, Caleb Merriam, and Sean Liston seem to be healthy and playing. Health and consistency has been their problem, though. The team has not played their first tournament yet and they are already missing Pettyjohn and perpetually injured Jeremy Dolezal-Ng for the winter quarter. If Cal Poly is looking to regain their status as the top team in the Southwest, they’ll need contributions from their full roster. Last year already proved what can happen if they lose one too many key contributors. While Cal Poly may be trying to forget the past year, #20 Stanford is still basking in its shine. Pulling off the come-from-behind win over Cal Poly was undoubtedly one of the best games of 2018, but Stanford has lost many of the defenders that earned them that victory. With players like Gabe Hernandez, Allan Ndovu, and Sam Kunz off the roster this year, Stanford will have to find a new identity. It’s likely they’ll look to Kevin Tien, Mike Becich, and Nick Hirning to be the bedrock of their team. Tien is a nightmare to guard, Becich is a menace in the air, and Hirning has already shown he can handle the burden of marshaling their offense. If Stanford is going to help earn a bid for the Southwest, the odds are that it will come from a strong offensive showing from these three. They’re nobody’s preseason favorites, but #23 Southern California could be a dark horse contender this year. Sam Cook proved last season that he was largely unstoppable and now has a chip on his shoulder after getting left off the U24 squad. He’s joined by Wyatt Paul, David Sealand, and recent grad transfer Hill Balliet, who also made it to U24 tryouts and was the centerpiece for D-III Claremont. USC’s roster does thin out substantially from there, but it’s quite possible that those four could do enough to pull out a few surprises over higher ranked teams. Below those three programs, Cal UGMO, UCLA Smaug, and UCSB Black Tide will look to prove disruptive. UC Santa Barbara has a long history of ultimate success and is always competitive. Cal looked like a solid team at CCC this fall, and their deep game will play better without the weather and wind they faced in Georgia. UCLA will be a bit more of a mystery with a strong graduating class in 2018, but they were knocking on the door last season and could do it again. If you’re looking for a deep sleeper pick, Las Positas may emerge in the postseason as a threat. The team has an odd amalgamation of talent that probably won’t come together until Sectionals but may just do enough to steal a bid. Don’t buy any stock just yet, but keep an eye on them come April. The Darkside captain seems poised to cap off a storied career at UNC with another gold medal. Matt Gouchoe-Hanas has been the consistent, tenacious force leading UNC’s offensive line and the team as a whole. He’s primed for a Callahan Award nod and has most of last year’s supporting cast next to him along with some notable additions. Expect MGH to deliver more of the same this last time around: a clinical, focused attack with the disc in his hands, fluid quickness in the backfield and redzone, and persistent matchup defense. Here’s something to chew on for a bit: doesn’t it seem like Tannor Johnson is the most dominant player in the division and also…has been a little disappointing over the course of his college career? From a results standpoint, one semifinal and two prequarters exits at Nationals to go along with two Easterns titles isn’t nothing, but remember back to his freshman year when we all thought he was going to be the best player ever? This season he can put an exclamation point on his career and remove that lingering doubt, or suffer another prequarters loss (which seems plausible with an inexperienced UMass roster) and leave things feeling unfinished. The thing that makes him so scary is his versatility. Ing posted a ridiculous stat line at Nationals with 20 goals, nine assists, seven blocks and just five turnovers. That means he earned the disc back for his team more times than he gave it up. Very few players with Ing’s usage rate can make that claim. He will be at the center of the action offensively, roofing players in the end zone, until he can set himself up underneath to run the offense from a hybrid handler role. Defensively, he can lock up your team’s best cutter or handler, it doesn’t matter to him. If Pitt is back in the national championship game this year, it will have a lot to do with Mike Ing. On the one hand, Joe White is in the conversation for being the most talented player in the division, he was hurt most of last season, and he showed on the club level again that he is an absolute top notch player. But on the other…did you watch that semi against Pitt? Yikes. And it wasn’t just that one game, 2018 was more or less a lost year for White. With most of CUT’s Ring of Fire players graduated, it’s likely on White this year to take Carleton across the finish line. We’re going to find out if he’s got it this season, because the Carleton title math gets pretty complicated if he is taken out of the equation like he was last year. Brown burst back onto the national scene last year after many years away. This was one of the best programs in college during the late 90s and early 2000s, winning two national championships and producing four Callahan winners. Then it all ended in 2007. That was the last time Brownian Motion qualified for Nationals. Sure, they came close in the years that followed, but never made it back to the show. Until 2018 that is. Much of the focus of Brown’s return last year was on John Randolph, the Freshman of the Year who led Nationals with 25 goals in an All-American rookie season. The one pulling the strings for the offense, though, was Mac Hecht. He finished second in the division with 22 goals at Nationals. Fresh off of another season with Boston Dig, Hecht has a chance to lead Brown back to its former glory. With Eli Motycka gone, Hecht figures to shoulder even more of the load in the offensive backfield. You might as well get to know his name now, because you are going to keep hearing it. Hecht made the U24 men’s team heading to compete in Germany this summer, and Brown doesn’t seem to be going anywhere but up. Sjostrom might register more throws than any player in the country this year. He takes on a ton of responsibility in the Auburn backfield and will be one of the highest volume players in the division. The U24 National team selection has absolute bombs and has little reservation in dropping them. It helps that he has some supremely talented cutters to throw to, but Sjostrom is absolutely the quarterback of the Auburn offense, and they put him on both sides of the disc to get him as many touches as possible. Sjostrom is the best player on a very good team, but his usage is like that of the best player on an average team, and that should make for one of the most fun to watch individual seasons of the year. The 2018 college season was overflowing with incredible first year players. From John Randolph’s electrifying playmaking to Liam Searles-Bohs potent combination of size and throws to Jonny Malks handling wizardry, the class of 2021 was one of the most impressive we’ve seen in some time. 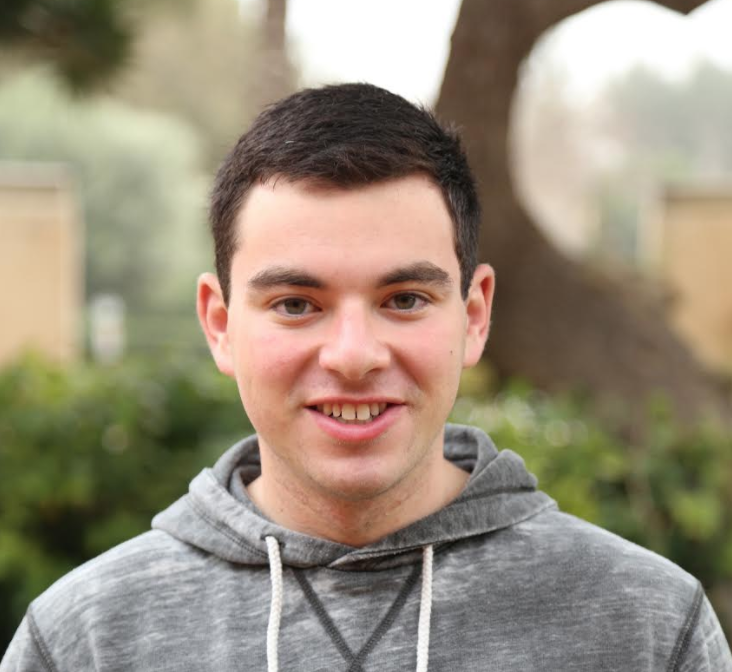 The men’s class of 2022, at the moment, is Kenny Banya following Jerry Seinfeld – yes, he’s funny, but compared to the Sein? He’s getting chuckles at best. That’s not to say that this class is a clown show. There’s a good chance that in five months I’ll be eating my words like a bowl of soup. But for the moment, don’t expect the same division-wide impact last year’s class made. Expect less and you’ll never be disappointed! Carleton brings in Ben Preiss, fresh off of a YCC title with DC Foggy Bottom Boys and U20 World Championship with Team USA. He headlines another strong class, keeping the rich rolling in it. And we are barred from mentioning Carleton without mentioning North Carolina. Darkside, after years and years of huge, deep rookie classes, Darkside is experiencing a “down year.” I put that in quotations because a down year for a powerhouse would still be an up year for most other teams in the country. Their four rookies are headlined by Andrew Li, a Triforce standout who played club this past summer with Brickhouse, alongside teammates Colin Smith, Alex Davis, and Thomas Williams. A promising group of first years is a huge boon to Michigan, one of the most disappointing teams of 2018. Speedster Cian Johnson and Mango Tree’s Theo Shapinsky will be crucial in bringing Magnum back to national relevance. The Ohio Valley continues to garner young talent. In Pittsburgh, it’s all about that Ing legacy. While Mike promises to be one of the best players in the division this spring, brother Henry will immediately step into one of the large roles vacated by Pitt’s departing senior class. They continue to be one of the best recruiting programs in the division. Ohio State has vaulted into the national conversation this year, in no small part to the addition of Axel Agami, who joins his older brother Sion and provides immediate firepower to a Leadbelly team on the rise. Once again, Cal Poly SLO finagles an extremely talented batch of rookies, perhaps the deepest in the country. U20 Team Member Jake Thorne is the crown jewel, but other homegrown talent like KJ Koo, Calvin Brown, and Emmet Holton can and will be immediate impact players on either side of the disc. They’ll be vital in SLO’s quest to return to Nationals. Ben Hornung works in tech support, wears more shoes than hats, played mixed all throughout college, and regrets none of those choices. He writes from Philadelphia in the third person more often than he ought, but what are you gonna do about it? Will trade haikus for retweets @mrhornung. Comments on "D-I College Men’s 2019 Season Primer"